But there have been some wonderful things I’ve been filled with over these one hundred days. And for my final post I’m going to try to select the ten best culinary experiences. Click through to see the details, or scroll down for a list of the links to every honey recipe I’ve blogged about. 5. Pears en papillote – a dramatic recipe which produces fragrant exotic honeyed parcels for each diner to unwrap at their plate. Who knew baking paper could bring such magic to dessert. 3. Bircher muesli – the honeyed breakfast zinging with vitamins and good health. For more honey recipes but also honey tasting notes and stories behind extraordinary honeys, see my recently published Little Book of Honey. It’s been (almost) one hundred delicious days of honey. If all goes to plan then tomorrow will be the final post in this blog. I feel sad, I feel I’ve learned a lot, and I feel rather full. I’ve loved all the licks of honey that have come my way as I’ve been writing the blog, but here are my top ten favourites in reverse order. They come from all over the world – California to Kosovo, New Zealand to Sardinia and Romania. For full information, including in some cases suggestions for where to buy the honey, click through to the original post. 8. My own Kosovan honey. Blatant favouritism, but I love the taste of it because it’s the taste of the landscape I love looking at. For more honey tasting notes, honey recipes, and stories behind extraordinary honeys, see my recently published Little Book of Honey. Following yesterday’s tarte tatin I’m obviously still feeling a little upside down as I’ve made another recipe which requires inversion to serve. 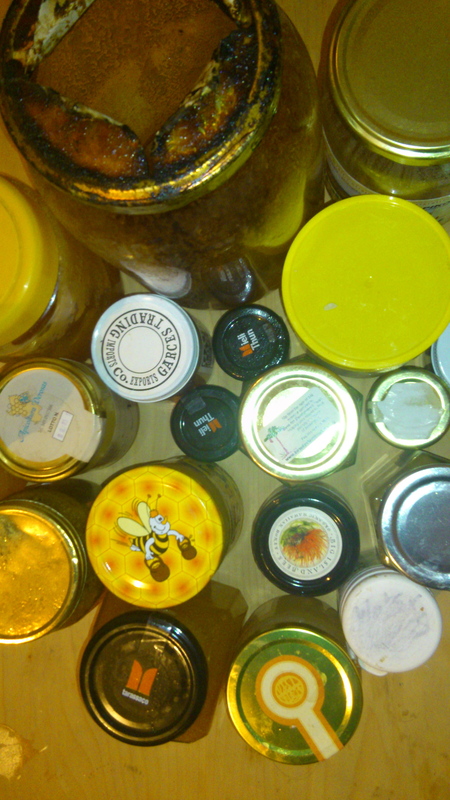 This is from one of my favourite cookbooks – the ‘Bees Online’ honey recipe collection. It makes a classy dessert that we couldn’t quite live up to (it’s a Sunday, my yoga day when I do inversions of my own, and I was scarcely dressed by the time we sat down to eat), though we enjoyed it very much. The orange and the hazelnuts add bite and texture to what can otherwise be a cloying dish. Preheat oven to 170 degrees. Heat 170g honey with the water in a small heavy-bottomed saucepan. Stir as it comes to the boil, then reduce the heat to medium and continue to warm. As soon as the colour of the honey deepens, remove from the heat. Allow the bubbles to subside then divide the mixture between the ramekins you’ll serve it in. Gently warm the remaining honey and whisk in the eggs until just combined. Then whisk in the milk, orange rind and cardamom. Pour the mixture over the honey caramel. Put the ramekins in a roasting pan and fill the pan with water until it comes halfway up the ramekins. Bake in this bain marie for about an hour until the custards are just set. Remove from the bain marie and cool, then refrigerate for several hours before inverting on plates to serve. 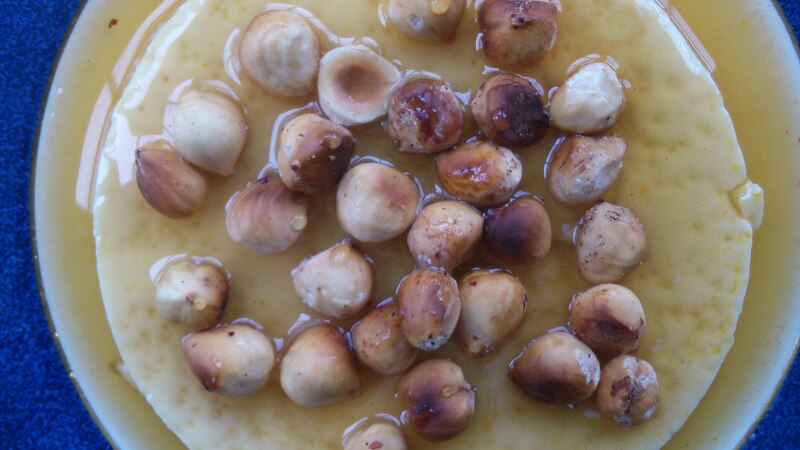 Top with hazelnuts drizzled with honey. For more honey recipes, honey tasting notes, and stories behind extraordinary honeys, see my recently published Little Book of Honey. I’d never made a tarte tatin, but always enjoy messing around with pastry. The lesson I learned today is… before you start messing around with pastry, read through to the end of the recipe and check whether any of your handicraft will show in the final product. 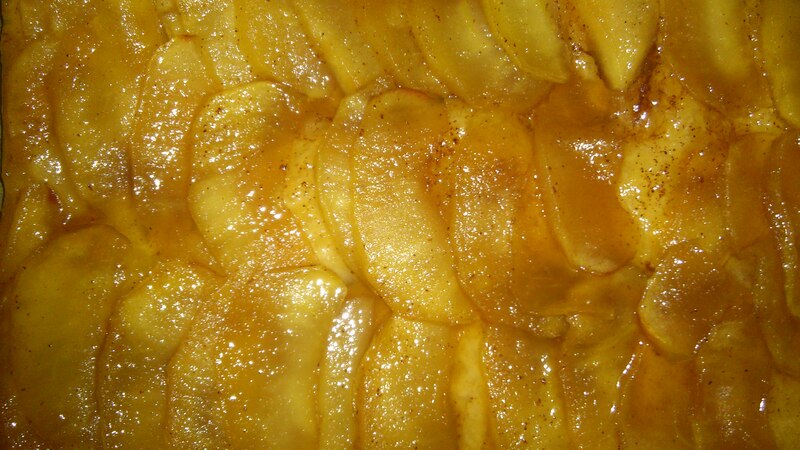 In tarte tatin, by the way, it won’t show at all, because of course (I mean, I have eaten tarte tatin so this ought to have been something I remembered) you invert the tarte once it’s out of the oven. 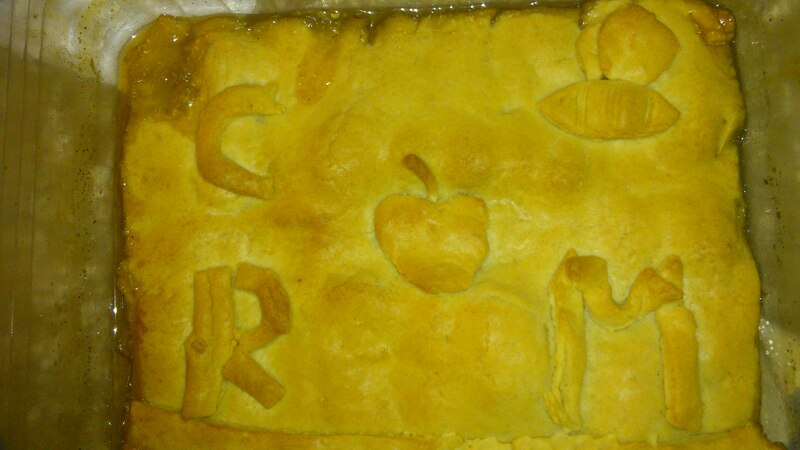 Having – as you can see in the photograph – crafted the pastry with details of both a beautiful bee and an apple, and fashioned the initials of all of those who would be served the dish, only to realise this would be on the base of the finished tarte, I feel now like one of those medieval masons who did their finest carving up, up, in some lofty cathedral spandrel and high above the heads of the future worshippers, so that no-one ever sees it. Or like the panel workers in the car factory who scrawl swear words behind the posh upholstery though no-one will ever know. 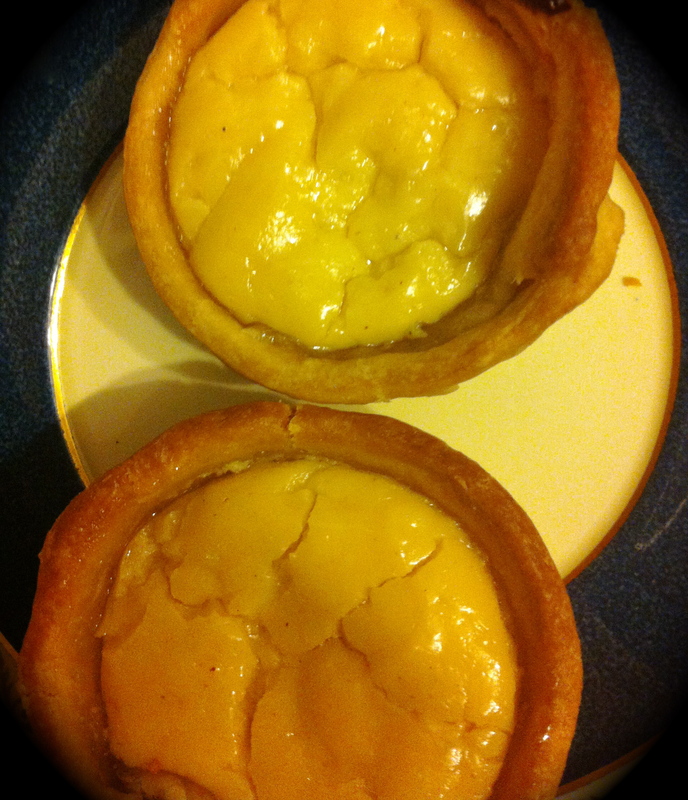 Ah well, at least it tasted fantastic – a properly buttery, honeyed dessert. Want to know how I did it…? Generously butter the bottom and sides of a 20cm ovenproof dish. Pour half a cup of honey into the pan and put in the oven, setting it to 200 degrees centigrade. Peel, core and slice two apples and place the slices attractively (because, you know, this is the bit that will show, NOT the pastry…) in the warmed honey over the bottom of the dish. Sprinkle with a quarter of a teaspoon of ground cinnamon. Roll out the pastry and place on top, making sure it goes right to the sides. Let cool in the dish for 5 minutes before inverting onto a serving plate. I love the idea for these biscuits – made up of ingredients almost all in existence thanks to the bees, apis mellifera. It’s a good reminder that one in every three mouthfuls we eat is bee-dependent – not just fruits and nuts, but even the butter in the recipe since bees pollinate the crops grown as cattle feed. The recipe is another from the marvellous Honey I’m Homemade book by May Berenbaum. Cream butter and sugar together and mix in honey until smooth. Beat eggs until frothy and then add salt, almond extract, nutmeg and baking powder. Combine the creamed butter with the egg mixture. Add flour until dough is a consistency that can be handled. Refrigerate dough for an hour. Preheat oven to 175 degrees. Divide chilled dough into 3 parts and flatten each third into a rectangle. Place a line lengthways down the centre of each rectangle and sprinkle with cherries, cranberries and nuts. Fold both sides of each rectangle into the centre over the filling and seal edges, making a ‘loaf’. Place loaves on a greased baking tray and bake for 35 minutes, or until golden brown. 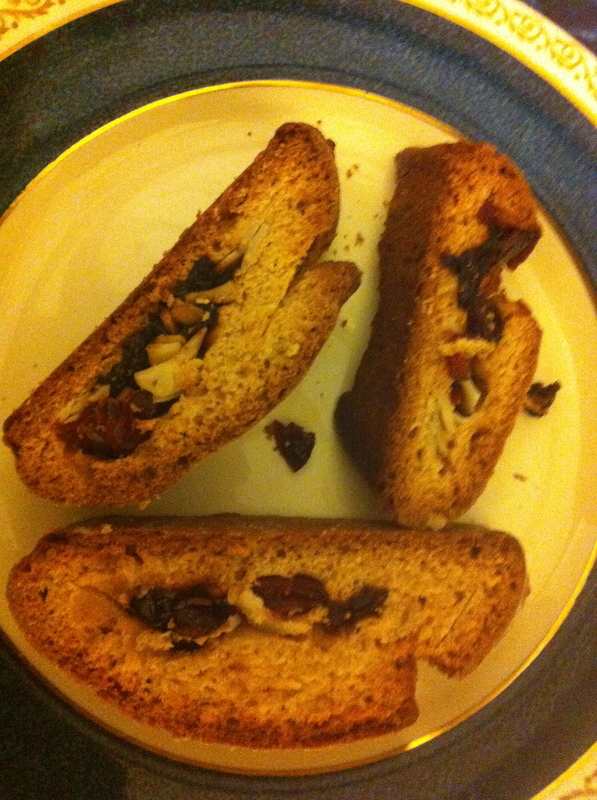 Cut biscotti on a slant while hot into half inch slices. For crispier biscuits, return to oven for 5-10 minutes. I have a new favourite honey dessert! I found this recipe in the wonderful Honey I’m Homemade recipe book (though there it is accredited to a booklet published by the American Honey Institute in 1941). Combine all filling ingredients, beating to a smooth, creamy consistency. Line tart moulds with pastry. Prick pastry and fill with cheese filling. Bake at 230 degrees for 10 minutes; reduce heat to 160 degrees and bake for about another 15 minutes until golden brown. Now this is a surprise! I’m never usually convinced about sweet flavours with savoury – sultanas distracting me from my curry or Wensleydale ruined by putting blueberries in it. But it turns out that sauteing green beans in olive oil and then tossing in some garlic and a teaspoon of honey is a delicious and classy way to produce something Oriental-tasting with minimum effort. Heat a tablespoonful of olive oil in a pan until it starts to smoke. 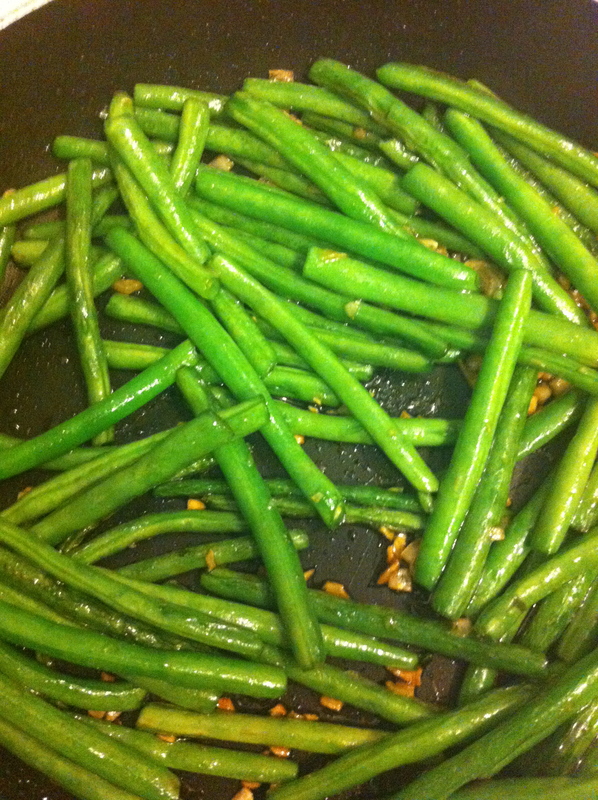 Take a fistful of green beans (washed, topped and tailed), and saute them in the oil, moving the pan the whole time. You can watch the beans turn a gorgeous bright green, the startling colour of a lawn before a thunderstorm. Then throw in a couple of cloves of garlic, finely chopped, and a teaspoon of a strong honey (I used Nigerian honey). Continue to saute for a minute or so more and then you have a delicious vegetable dish.